Outdoor cameras - what brand and where should they be installed? 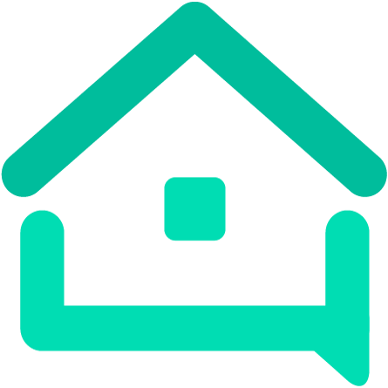 - We are your AirBnB hosts forum! Outdoor cameras - what brand and where should they be installed? OK, so I saw the topic that dealt with the fact that cameras might be a disservice for hosts, but I want an outdoor camera, which I am going to disclose to people. I want to be able to see if people sneak in dogs and extra guests. I was thinking about buying a ring door bell but then I read about people stealing them, so what else is there? what do you have? Id like to install a camera in the back of the house - on the patio - but up so that it can’t be stolen unless they climb a ladder or something. I’d also like to install one in the front, a ring doorbell would have been nice but given the circumstances that they are stolen, what other options are there? A Ring doorbell is no more likely to be stolen than any other camera, perhaps less likely since it’s worthless without the software. If it’s stolen they will replace it. I have a Ring and have been pleased with it and with customer service but I’m sure others (Nest, etc) are just as good. I also have 24/7 DVR cameras that are mounted on the eaves of the house. 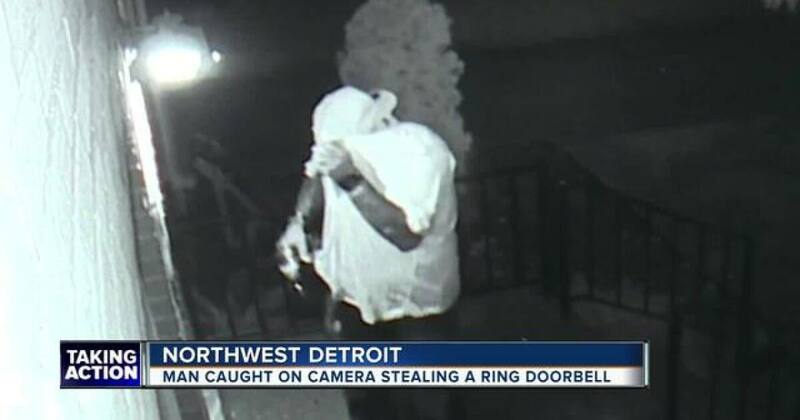 "It's pretty scary," Wylene J. told 7 Action News about the suspected thief that walked onto her porch early Wednesday morning and stole her Ring Video Doorbell. I have a degree in Criminal Justice and I don’t know why people steal. Did you read the story of the guy released from jail and he went out to the jail parking lot and started breaking into cars? I hope you didn’t base your decision not to buy a Ring on one story. It can transmit video 24/7 to your Smart Phone or laptop computer, via your property’s Internet Wi-fi connection. Thank you @Don_Burns i did a bit of research on them and I actually placed an order for a pack of two - for each door (front and back). it’s a very good deal and they come with a free google smart speaker for the bedroom. I will mount them on the wall, very high and the wire gets secured too, so I don’t think they will get stolen. I got the Samsung Wiseview 8 camera system 1080p with 2GB DVR for $300 USD. I put the cameras in interlocking zones around the home so there’s no blind spots. They’re mostly mounted under the soffits but there’s a few on the side of the home near the roofline. The wired camera systems with DVR tend to have better picture quality, frame rate and response time and night vision. The DVR is important for your evidence. It needs to be recording so you have evidence when you find the problem after the fact. When I open the app, all 8 cameras load with seconds. Its a lot faster than most other network cameras ive seen. I have Blink Cameras from Amazon. Wireless and easy to set up. I have them all over the place outside, covering the doors and driveways and sheds. I use nest although they are expensive especially because in order to be effective for Airbnb evidence you must pay for a subscription. I also use Kuna. They are integrated within a light so are very unobtrusive and usually not even noticeable as being a camera. They also have a subscription which is not as expensive overall as nest, especially because it covers multiple cameras, but does have a passive continuous record feature so sometimes the recordings (usually 49 seconds to 2 minutes long) could cut out just as the crucial evidence would be there…ie…a smoker walking around with an unlit cigarette in their mouth and THEN lights it after it stops recording. I had placed one of my cameras in the window of my shed facing the driveway and side door this way people couldn’t reach it or it’s plug. Just today the electric to the shed got severed while a little skid steer dozer was doing some grading in prep for sodding. Apparently the line had not been buried to code as it was to shallow. Now I need to rent a ditch witch and put it in properly and reconnect. Luckily I just got in a great month long guest in yesterday so I’m not too worried about it and have plenty of time before I think I will need it working again. @RiverRockRetreat wow, they have a good deal at Best Buy, for these cameras. I’m thinking about returning the nest and buy the blink. But can they be stolen? The appeal of the nest was that they should be more difficult to be stolen. @Mexican that’s a very good deal too but there are too many cameras for me. I need 2 in my rental, one at the front door, one at the back. I wouldn’t even know where to put 8. perhaps 4 at the rental and 4 at my own house? @Militaryhorsegal , wait a second, for nest camera do I need a subscription? are there cameras without subscriptions? But can they be stolen? Yes, but you would have a picture of the thief. are there cameras without subscriptions? Blink includes cloud service, I have a month of videos, I can download the ones I want to keep. Like the one with the mountain lion a couple weeks ago. You don’t NEED one but in order to use it as evidence for Airbnb you will. Cheapest is $50/year/camera. There are lots of other cheaper options as well as free options. One thing to consider is you don’t want just SD card storage. You really want WiFi connection with cloud storage (or storage on a DVR you have access to while guests are in the rental). that’s a very good deal too but there are too many cameras for me. I need 2 in my rental, one at the front door, one at the back. I wouldn’t even know where to put 8. perhaps 4 at the rental and 4 at my own house? Just buy the 4 camera system instead. Its less expensive. It records on the DVR so no subscription is needed. I’ve had it for 2 years now. Can you imagine the charges if I tried to store that much data in the cloud? We use Arlo. Pros for it are wireless, so easy to install and you don’t need to purchase a subscription. I believe it holds a weeks worth of footage at a time for free (but you can download clips you want to your HD). Cons; battery operated that needs to be charged and it doesn’t run constantly. It is motion activated so sometimes it doesn’t get all the footage you want. Comes with a tower that hooks to the router and communicates with the cameras, so it needs to be close enough to provide a signal. I have a Nest and a Ring as well. The Nest is hard wired and runs 24/7. It requires a subscription after the 30 day trail is over…same with the Nest. If you don’t get a subscription you only have real time viewing. OK, so my Nest cameras are going back then. I don’t want subscriptions. Thanks everyone. I have a secret. Mine don’t really work. They’re dummies. I put them in initially because of a nuisance bf. They look fierce. And they serve a purpose, which is to act as a deterrent. They are a fraction of the price of the real thing and run on solar power. We have Nest in one Airbnb home and Ring in the other Airbnb home. Nest Pros - $50 subscription is affordable and the ability to quickly save and use as evidence has saved our butts on several occasions. Easy to download footage. Camera and mic quality is better than the Ring because it is wired to your router/modem. Nest Cons - wired to your router/modem means if there is a power outage you need to manually reset it otherwise the camera fails to work. Required us to drill through our garage to connect. Ring Pros - we get the solar powered ones so they do not need to be anywhere near your router/modem. No drilling needed. We paint the wires to match the exterior of our house and then use little staples to keep the wires in place to prevent anyone from pulling them down. Ring Cons - subpar quality camera in almost every way. Subscription is $100. Doesn’t record for long amounts of time. Only records when movement is detected (which is sometimes unreliable).